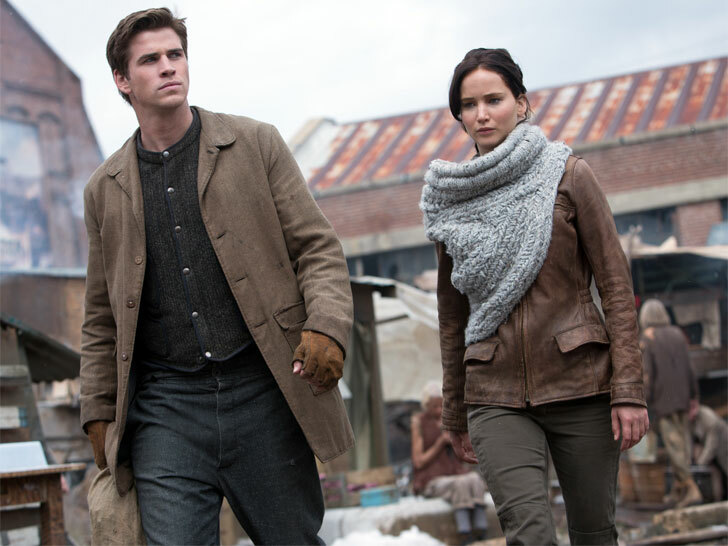 If you’re champing at the bit for Katniss Everdeen’s one-shouldered cowl-neck wrap from The Hunger Games: Catching Fire, the odds are in your favor. Lion Brand has released two free patterns so you can knit or crochet a version of your own. Not so handy with the needle? Etsy’s got you covered. Both of the Lion patterns are terrible. Not even close to what you see other than the color of the yarn. There are some better ones on Etsy that I have found. I am hoping to have one done by Halloween. Knit, Crochet Katniss Everdeen's Cowl-Neck Wrap From "Catching Fire"
If you're champing at the bit for Katniss Everdeen's one-shouldered cowl-neck wrap from The Hunger Games: Catching Fire, the odds are in your favor. Lion Brand has released two free patterns so you can knit or crochet a version of your own. Not so handy with the needle? Etsy's got you covered.